Notes: While Swindle might be a double-dealing cheat, the artist behind his portrait is certainly not. Sewingstars is not the first artist to go with a cutesy style of G1 goodness, but her style is totally her own. Her website is the home of all kinds of crafty goodness, including her latest feltformer creations. Run, don’t walk, to check out her work. Tell them Swindle sent you. Notes: Like rocket firing Boba Fett, Bluestreak is one of those mythical toys that everyone remembers having, yet was never officially produced. The mistake owes to his appearance in toy inserts as “blue”, even though he was released and portrayed on cartoon in silver. There are rare example of him in Milton Bradley packaging in Europe though, and the brilliant Diaclone original, but too rare to end up in so many kids’ bedrooms. On Friday, I totally challenged Teresa of sewingstars fame to an informal craft-off. She’s had her mojo on for some pretty awesome feltformers and I’ve been chomping at the bit to get back to munnyland. With nothing planned for the weekend, I figured it would let me bring two or three of the little buggers together to join their friends. Alas, it was not to be. I expect total ownage from Teresa as a result. Instead, I’ve spent pretty much the entire weekend cleaning. Seriously. The progress undertaken on the basement to turn it into an organized place for crafting, already well underway, was nagging at me and demanding my attention. The result is that, while I may not have anything to show creatively, I should be able to proceed much more effectively in future. The new Toy Factory, as you can see, has a variety of inspirations to draw upon, not the least of which is the Transformers: Animated line. I also have a reference book case, space for a variety of future projects and various bitty bits that I hope are organized a little better so that I can find them when I need them. I’ve also been able to migrate a bunch of the Munnies to the basement so they stop cluttering the front room. And, because I have a nasty organizational itch that needs to be scratched, all my paints, dyes, tools and sprays have been put in their own place and roughly sorted. A bulletin board lets me put up salient information like receipts and custom ideas. Because the basement is unfinished, it’s a little tricky to put up shelves because I have to drill into concrete for support. As it is not insulated, it is a cold place this time of the year. As it has minimal wiring, it also means my options for tools (glue guns, heat gun, drills, dremels) will be tricky and require long extension cords. But it does offer advantages, such as a number of hangers in the support beams that I’ve been able to use to hold cords and other hanging things. Which brings me to the new hanging shelf upon which I display the TF:A collection, the finding of which was a stroke of luck. It has a real kitchy feel to it, is a good size and hangs, so I can mount it without going through cement. The “door desk” provides a number of excellent and surprising features, not the least of which is the ability to spread out. In case you are wondering, the desk is made from a 82″ long front door that use to be attached to the front of this house until I replaced it about four years ago. It sits on six legs purchased from Ikea and has a towel rack at the left end. The decorative grooves allows me to literally box in sections of paint. The hole where the door handle use to be is actually perfect for holding a munny head, should I wish to have one steadied. And the mail slot could be a garbage or recycling trap, although I have boxes for both under the desk for the time being. I’ve even made space for guests who might want to come down and hang out, as unlikely as that might be. Having things this organized is a weight off my shoulders. Too often I spend a lot of time looking for a particular colour paint or an item buried under its weight. Now I should be able to put together what I need quickly, or simply spread out and not have to worry about overtaking the front room of the house. The effort has also given a sense of just how usable the space could be when it finally gets renovated with new floors, walls and insulation. 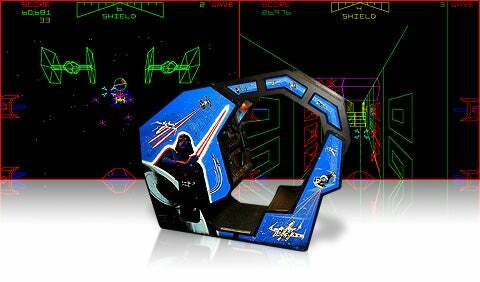 I might not be able to get the pool table I want, but maybe I should think about the classic Death Star game instead. Way cooler. Now all I need is a better chair. Notes: Unlike his Triple Changer partners, Octane was produced officially offered only in 1986, although he was reissued in Europe as part of their Classics line. In the cartoon, he seems to replace Blitzwing as the great Decepticon traitor (strangly leaving Astrotrain as the loyal one). In the comic, he was more adversarial and drawn with a completely different head. I’m almost surprised the Universe 2.0 version didn’t include the second head as an extra feature. Notes: Stampy is the first rabbit transformer in the TF multiverse and, even then, was only available in the Japanese market as part of Beast Wars Neo. He transforms into a targetmaster mode that is quite odd looking. And his rabbit mode has sharp teeth for a vegetarian. But you can’t go wrong with bunnies! Notes: It’s hard to say which fallen Decepticon became Cyclonus. But one things for sure, he was a pretty cool cookie in the cartoon even if he was second fiddle to Scourge in the U.K. comic. His Henkei reissue even came with Nightstick (which begs the question of whether Takara will appropriate the targetmaster and Inferno to make an anniversary Artfire), which is really icing on the cake. Fan favourite sewingstar recently posted her rendition of Omega Supreme, first in black and white and then in colour. I thought I’d take her outline and try my hand at colouring with the help of Photoshop. It’s Omega’s brother! Notes: I’m guessing that the logistics of re-releasing Hot Rod, Kup, Blurr, Scourge and Cyclonus with targetmasters didn’t fit with Takara’s view of the Japanese marketplace. Instead, Japan saw just two replacement Autobots, Artfire and Stepper. Artfire was paired with Cyclonus‘ Nightstick for this offering. And while Stepper later saw life in North America as Ricochet, Artfire has yet to surface. Fan everywhere wait patiently. Notes: While Hasbro might have used other company’s to help round out its line, most were excluded from the comics and particularly the cartoon. Such is the case of Venom, leader of the “deluxe” Insecticons. How the Deluxe Insecticons would have interacted with the likes of Kickback, Shrapnel and Bombshell has always intrigued me. In any case, Venom’s insecticons were garishly coloured with great accessories. And the clear wings were awesome!